Bro, do you even CMS? Last week, I attended the ebookcraft and Tech Forum conferences in Toronto. At these events, BookNet Canada brings together editors, publishers, and technical staff to discuss digital publishing. This cute and useful flowchart explains the foci of these closely-linked conferences. For reasons both charitable and baffling, they invited me to speak about poetry formatting for E-books. Moi, j’avais visité au Canada quelques fois déjà, par ce que j’ai des cousins qui habitent au Montreal et Quebec. Donc, j’ai beaucoup savoir faire au sujet des Canadiens—so just imagine my surprise when nobody in Toronto spoke French. I arrived on Tuesday afternoon, and thus did not attend the ebookcraft hands-on workshops, so I’ll leave those writeups to others. I did attend the speakers’ dinner, where I was surrounded by friendly people. Many of these speakers were people I’d seen and admired at the Books in Browsers conference last fall, and some were people I’ve come to regard as colleagues via the weekly #eprdctn hour discussions on Twitter. Many of them seemed genuinely interested in my talk. Poetry may be a small fraction of the literary output of trade publishers, but it accounts for an outsized portion of the formatting headaches. Download your free copy of The Yellow Buick Review today. I’m still working on my backlog of tutorials, but since Yellow Buick Review is now accepting submissions, I figured I ought to make Volume I available. You can download it free from Bicycle Comics starting today. Once all the tutorials are up, I’ll also list it on the official stores for Amazon Kindle, Barnes & Noble Nook, and Kobo. The Yellow Buick Review is the world’s least-prestigious, most-helpful literary magazine. The poems are total nonsense, the formatting is solid, and the code is open-source for all to see, critique, and adapt. 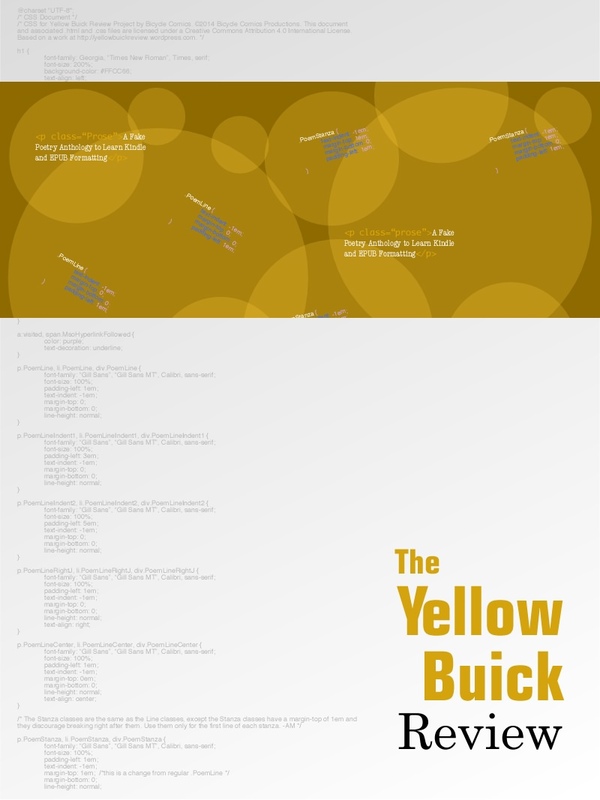 Download your free copy of The Yellow Buick Review, take it for a spin, and pop the hood to see how it all works. I’d love to know what you think. Yellow Buick Review by yellowbuickreview.wordpress.com is licensed under a Creative Commons Attribution 4.0 International License. 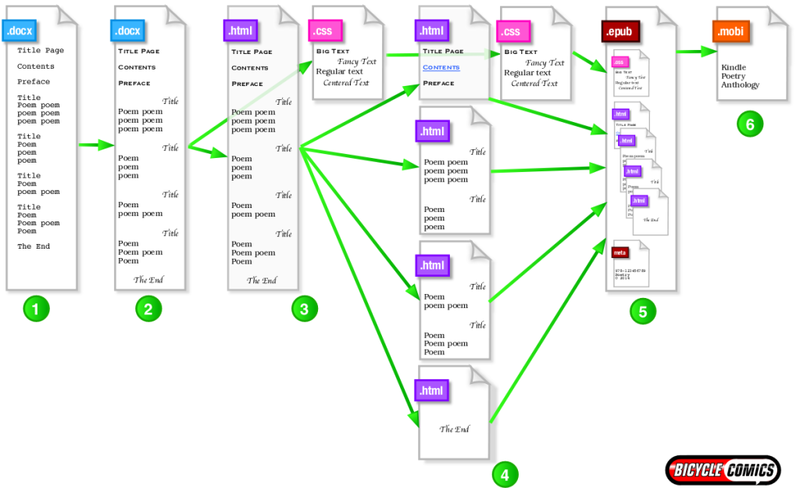 Long before you dive into InDesign, Dreamweaver, or an HTML tool, you want a clean text file. Fear not; the E-book will be much prettier. We call this the “steamed rice” version. It’s plain, it’s readily digestible, it’s unlikely to cause problems. Terribly bland, though, right? That’s fine. Steamed rice provides the foundation for all the spicy, yummy stuff you’ll be cooking up. 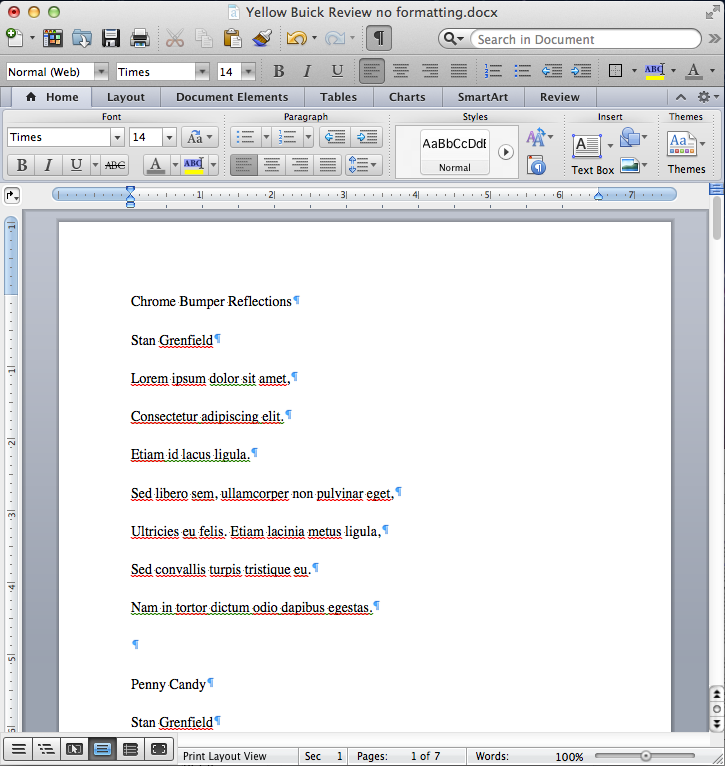 Best learn this point early: Don’t bother making your poems beautiful in MS Word. You’ll make them look beautiful later, after you’ve made them look clean. A “big” font in a universal typeface. Think 16pt Times New Roman or 14pt Helvetica. If there’s an extra space or a missing period, you’ll want to notice it. Real dashes, as in “—” or option-shift-hyphen on a Macintosh. No soft returns. A soft return is a shift-return. Poets use them all the time for enjambed lines, but they are poison to poetry E-books. Here is a soft return. Find them. Delete them. One space after periods. Typewriters are long gone, my friend. No tabs, no spaces. 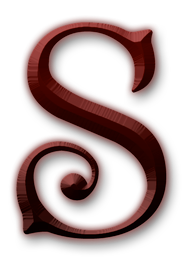 You’ll make indents later, with styles. (Optional) Italics and boldfaced words. I’m really torn on this one. If it were truly up to me, I would avoid them in MS Word, and add them at the very end with character styles. However, this stage is often where we do the most E-mail proofreads and edits with our contributing poets, and many of them must see their emphasized words.